Until now, the emphasis has been on the iPhone 8 – which will be revealed to mark the anniversary alongside the standard iPhone 7s and iPhone 7s Plus upgrades. However, it appears that Apple is planning to call its new device the “iPhone X” after all. This is according to rumours that the company is embracing Roman numerals to mark its 10th anniversary milestone. The China site Casemecase has cited a ‘reliable source’ as giving them the information about the anniversary handset. 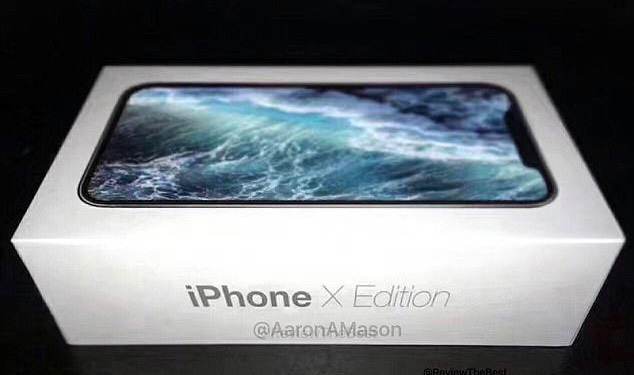 Senior Editor of The iPhone Insider Aaron Mason released leaked images of the new release yesterday and called it the ‘Apple iPhone X Edition‘. Interestingly, Caseme also notes that the other two phones will in fact be called the iPhone 8 and iPhone 8 Plus. Whether Apple decides to skip an ‘s’ generation for the first time since it was introduced remains to be seen. And this new phone is likely to be expensive. Reports suggest it could be as much as £1,000 when it launches towards the end of September.